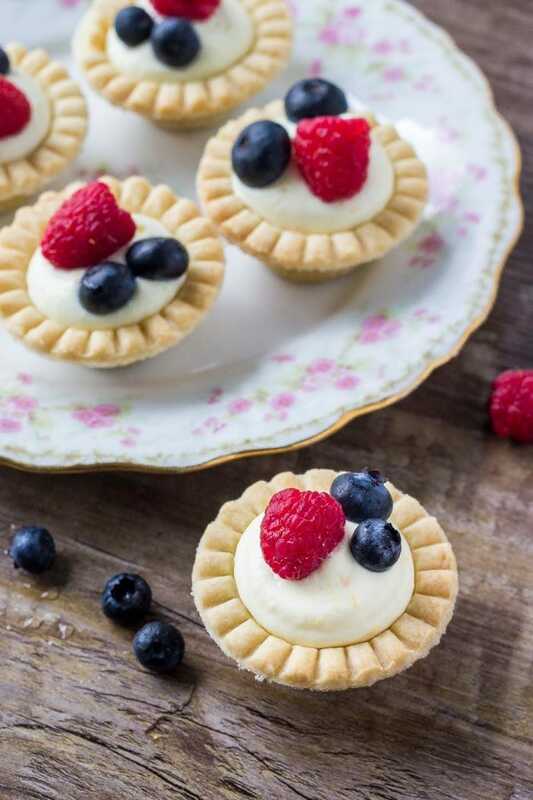 Flaky pastry, sweet vanilla filling, and fresh berries come together to make these adorable easy mini fruit tarts. 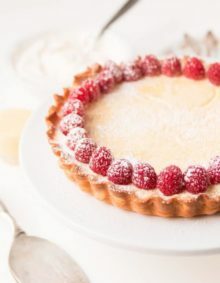 It’s a super easy recipe because we’re using frozen tart shells, then the filling is a deliciously fluffy vanilla cream made with pudding mix. Today I’m sharing this super simple recipe for easy mini fruit tarts. They have a sweet and creamy filling, buttery pastry, and lots of fresh berries. And since they’re miniature – they’re absolutely adorable. 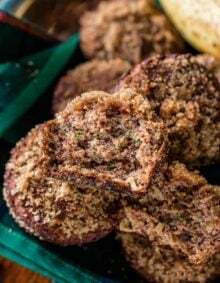 They’re the perfect bite sized dessert for brunch, potlucks, or whenever you want something that’s super pretty but also really easy to make. Because instead of making homemade pastry, we’re using frozen tart shells. And the filling is an easy vanilla cream made with pudding mix instead of French pastry cream. To be totally honest, I think making tarts from scratch can be pretty overwhelming. Making perfect pastry crust, then forming it into pretty tart shells always seems like a lot of work to me. And let’s not even mention traditional French pastry cream. 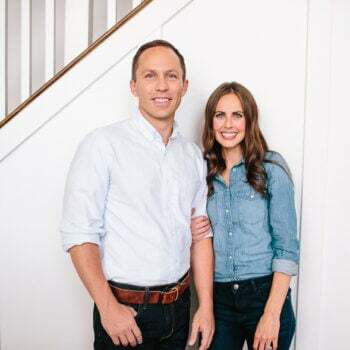 Have you ever had success making it? You have to whisk together milk and eggs in a saucepan – and if you’re not super careful you can end up with scrambled eggs. Not exactly my idea of a relaxing hour spent in the kitchen. But these mini fruit tarts are so delicious and turn out perfectly every time. Here’s the rundown of the recipe. To get started, bake the tart shells according to the package instructions. Then allow them to cool. From there, we make the vanilla pudding filling. First whisk together a package of vanilla pudding mix and 1 cup of cold milk. Once it gets thick, gently fold in thawed whipped topping and a little orange zest. I love adding a little citrus zest for extra flavor. Then spoon the filling into the cooled tart shells. Or you can spoon it into a piping bag and pipe it into each shell. Then it’s time to top each tart with fresh berries and you’re ready to serve. 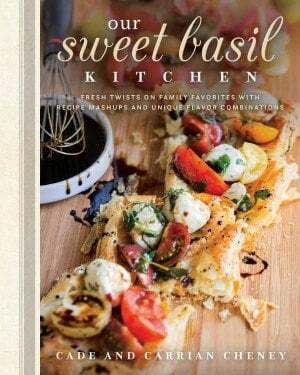 You can also easily customize this recipe depending on your favorite flavors. You can swap the vanilla pudding for cheesecake or lemon pudding. If using lemon pudding, you can sub the 2 teaspoons of orange zest for 1 teaspoon of lemon zest instead. Then feel free to use your favorite fruits. 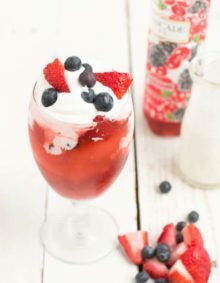 I typically use berries in the summer. I’ve also done mandarin oranges, kiwis and pineapple. 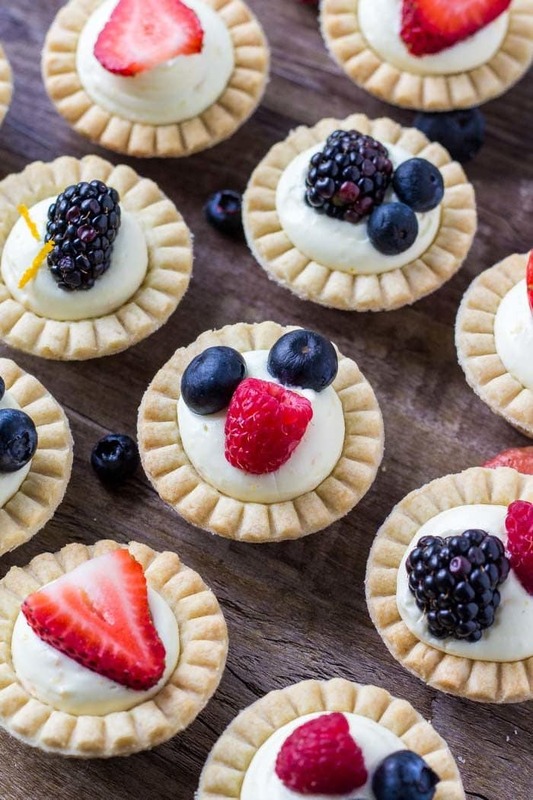 Easy peasy, super delicious, and so adorable – these mini fruit tarts really are the perfect dessert. I love the combination of flaky pasty, sweet vanilla pudding, and fresh fruit. 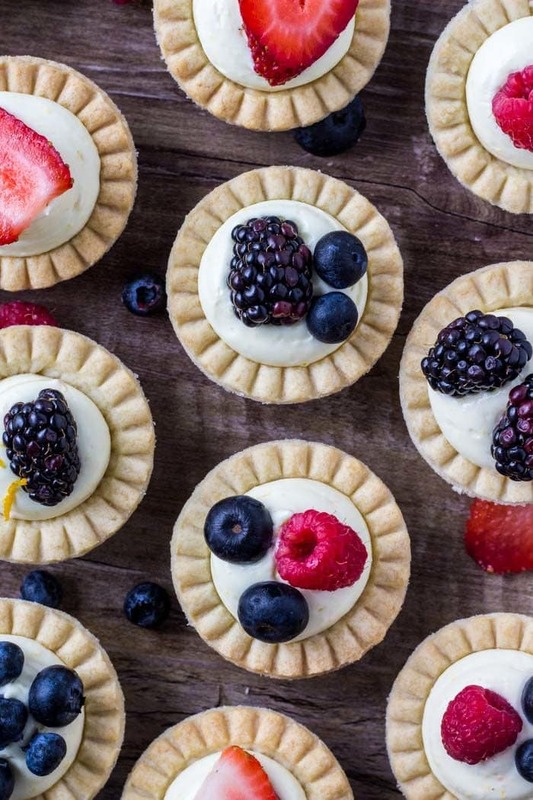 So if you’re looking for the perfect bite-sized dessert, then these easy mini fruit tarts are just the thing. Looking for more fruit dessert recipes? We always are too, so make sure you try our Cheesecake Berry Salad, Very Berry Brownie Pizza, Mom’s Fruit Pizza and more! 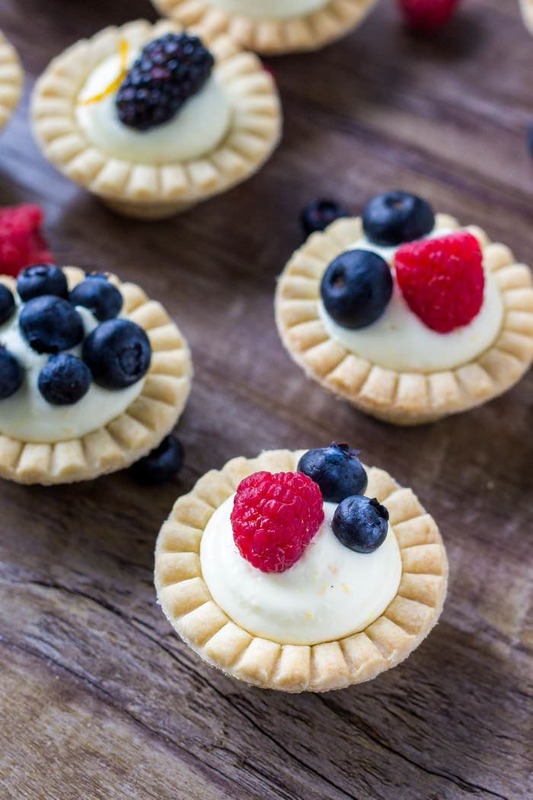 Flaky pastry, sweet vanilla filling, and fresh berries come together to make these adorable easy mini fruit tarts. It's a super easy recipe because we're using frozen tart shells, then the filling is a deliciously fluffy vanilla cream made with pudding mix. In a large bowl whisk together the pudding mix and milk for about 2 minutes. You can do this by hand or with the whisk attachment of your electric mixer on low speed. Gently fold in the orange zest and thawed whipped topping. Spoon the filling into the cooled tart shells. Or spoon the filling into a piping bag with a large round tip and pipe the filling in. *Store tarts in an airtight container in the fridge. **If you're transporting the tarts, I recommend leaving the tinfoil from the tart shells on. Love how these are so portable! And so fun to get creative with using different fruits/colors for toppings!